OurTake-A-Tag Dispenser saves you time and benchtop space. Two keyholes at the back allow the dispenser to be mounted on a wall. Dispenser comes loaded with 100 OSHA Caution Tags. 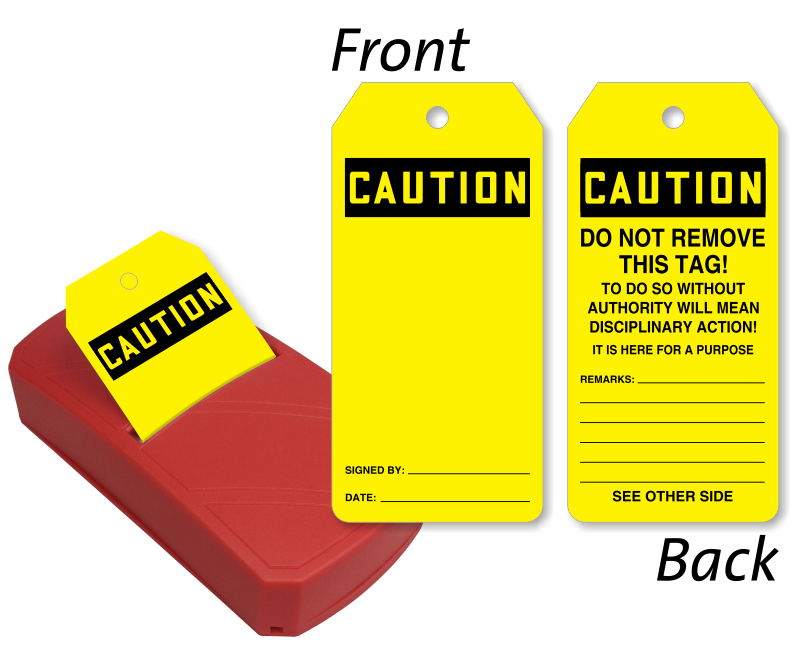 • Bright yellow tags are hard to miss. 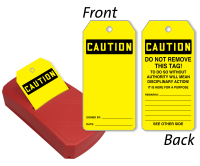 • Made of plastic-based synthetic material, tags are easy to write-on. • Plastic tag dispenser is easy to refill. You can buy refill tag packs here.